This listing is for a Factory German Heckler & Koch HK MP5 9mm recoil rod assembly. 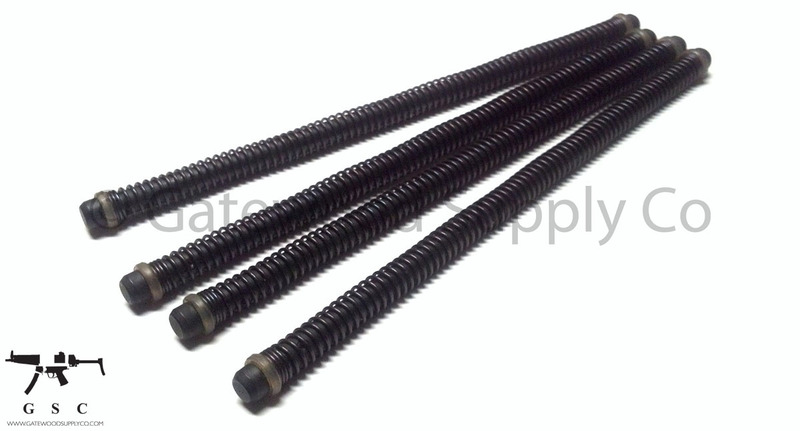 This is a complete parts set with 2 nylon rings and a standard spring. These parts work with HK MP5s and H&K MP5-SDs.